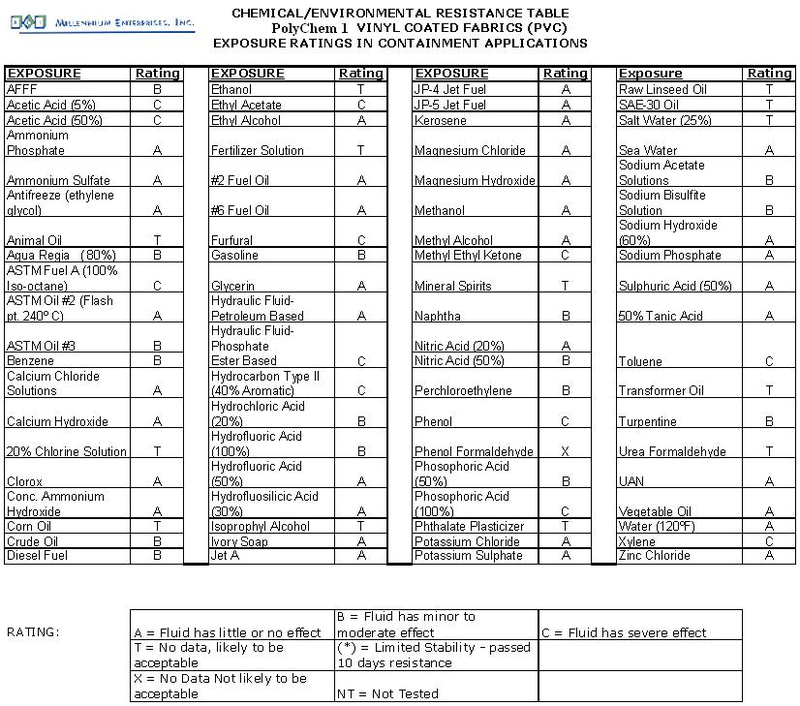 To assist your effort in deciding which of our Geo-membranes will work for you from a chemical compatibility standpoint, please reference the Chemical Resistance Tables provided here. The information above is the result of laboratory tests and is intended only as a guide. No performance warranty is intended or implied. Exposure time, temperature and size of the area of exposure usually varies considerably in application; therefore, this table is given and accepted at the user's risk. We suggest that a material sample undergo testing in simulated conditions prior to actual service application. The shown ratings are based upon visual and physical examination of samples after removal from the test chemical after 28 days of immersion at room temperature. Results represent ability of material to retain its performance properties when in contact with the indicated chemical. We believe that the table above provides the best available information. We make no guarantee of results and assume no obligation or liability in connection with this information.